If you think you’ve seen it all then elevate your experience of Singapore by stepping out into the Marina Bay Sands SkyPark – the place to be seen in the city. Marina Bay is an upscale hotel with an infinity pool and spa, so expect only the very best experience when you step out onto the SkyPark. On this flagship landmark soaring 57 levels above the heart of the landscape you can take in all the architectural wonders from a vantage point on the newly renovated observation deck. 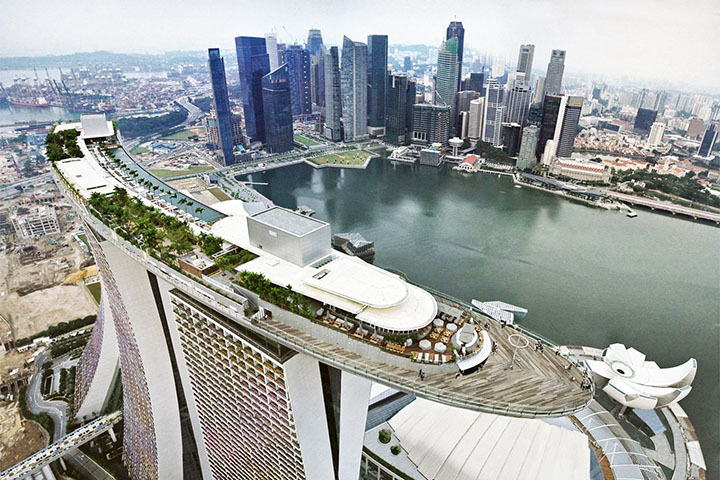 Few tourist attractions in the epicentre of Singapore can offer the splendour of views on display from the Marina Bay Sands SkyPark observation deck. You and your travel companions will peer out to Marina South Pier all the way out to the Singapore Strait. See unique views of world famous sights like never before, such as the Marina Bay Street Circuit home to the Grand Prix, and the serene leafy grounds of the Marina Bay golf course across the water. Enjoy a drink or two with friends as the day unwinds and the nightlife picks up. Marina Bay Sands SkyPark is open daily from 9:30 am to accommodate your itinerary. It’s aptly located close by to the Singapore River with straightforward access to transport from many directions, so heading out to the airport and train line is no bother. Nearby landmarks such as shopping malls and food districts are on hand if you are looking to combine your experience at the SkyPark with other local treats. 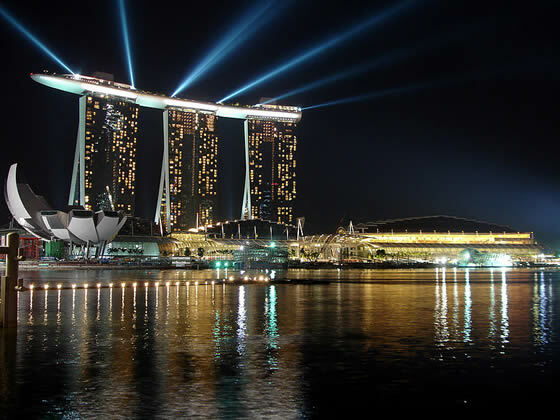 And if you’re keen to check out photos and more information before you book up, there are plenty of online resources - Marina Bay has an excellent 4+ rating on many top travel websites.